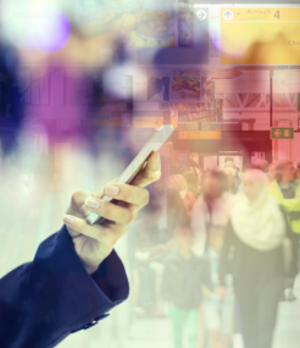 As the latest technology in airports continues to improve and change the way travellers move, offering greater efficiencies, increased operational productivity and revenue, and ultimately better passenger experience, operators are also gaining access to new data sources to be able to better understand passenger behaviours. Through the use of analytics, airport operators are realising the benefits of harnessing powerful results and data to really focus on what passengers are doing in the airport areas in between the critical operational procedures, such as check-in, security and baggage handling. This allows valuable insights into solutions to maximise revenue opportunities by creating a complete passenger journey that gives travellers greater control and flexibility, while maintaining efficient traffic flow, reducing instances of queueing and delivering an enhanced passenger experience.